On this week's Last Word, Jimmy Matis break down the free agent moves the Colts have made so far and how they impact the team in 2019. They also chat with new wide receiver Devin Funchess who comes over from the Carolina Panthers. 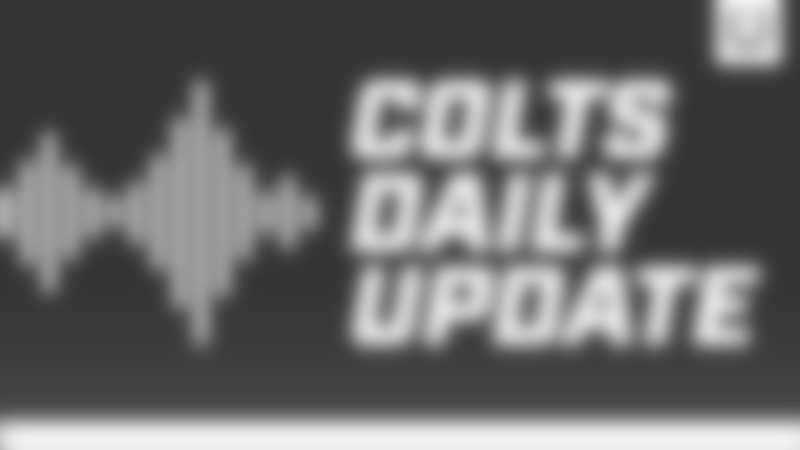 The weekly radio show for the Colts returns as Matt Taylor and Jimmy Matis discuss the 2019 Colts schedule and preview the draft starting next week. The guys also welcome in draft analyst Lance Zierlein from NFL.com to break down what the Colts may be thinking in the first few rounds. Jimmy Matis and Matt Taylor discuss the top questions for the Colts before the team reports for the off-season workout program on Monday. The guys also talk with Deon Cain who hopes to make a full recovery in 2018 after tearing his ACL last pre-season. On this week's Last Word, Jimmy Matis and Matt Taylor play "Whoa or Whatever" covering off-season topics on the Colts. The guys also talk up the draft and NFL free agency with Vinnie Iyer from the Sporting News. On tonight's Last Word, Matt Taylor and Jimmy Matis recap what Frank Reich and Chris Ballard detailed this week at the annual NFL Owners' meetings. On this week's Last Word, Matt Taylor and Jimmy Matis preview free agency beginning next week by discussing who they might expect back in a Colts uniform next season. Also, the guys hear from defensive lineman Margus Hunt who signed a contract extension this week. On this week's Last Word, Jimmy Matis and Matt Taylor recap the Colts news that came out of the Combine this week. Caroline Cann was also able to go one on one with Chris Ballard at the Combine to get his thoughts on upcoming free agency and the draft. On this week's Last Word, Jimmy Matis and Matt Taylor pick sides on Colts topics, and the fellas also talk with Howard Mudd, the new senior offensive assistant coach with the Colts. On this week's Last Word, Jimmy Matis and Matt Taylor break down the top Colts' storylines this off-season. They also check in with Chris Ballard at the Senior Bowl this week. Matt Taylor and Jimmy Mad Dog Matis return on The Last Word to discuss the great 2018 season that just wrapped up. The guys also talk to Frank Reich regarding the season, and go around the league on the NFL Grab Bag. On tonight's final version of The Last Word, Matt Taylor and Jimmy Matis discuss the early part of training camp, and Andrew Luck's throwing progress. The guys also discuss NFL storylines with longtime NFL insider John Clayton. Matt Taylor and Jimmy Matis give their final thoughts on the off-season heading into training camp on this week's version of The Last Word. Jimmy Matis and Matt Taylor talk about the hottest Colts storylines heading into training camp on this week's Last Word. Matt Taylor talks with several Colts assistant coaches and former Colts linebacker Cato June on this week's installment of The Last Word. On tonight's Last Word, Jimmy Matis and Matt Taylor break down the Colts' rookies to watch next season. The guys on The Last Word, Jimmy Matis and Bob Lamey, give a preview of what they are looking forward to when Training Camp begins late July. The guys on The Last Word, Jimmy Matis and Matt Taylor, recap mini-camp and discuss major story lines heading into training camp. Matt Taylor and Andrew Walker discuss the amount of newcomers on the Colts defense this off-season, and break down some predicted stats for key Colts in 2018. 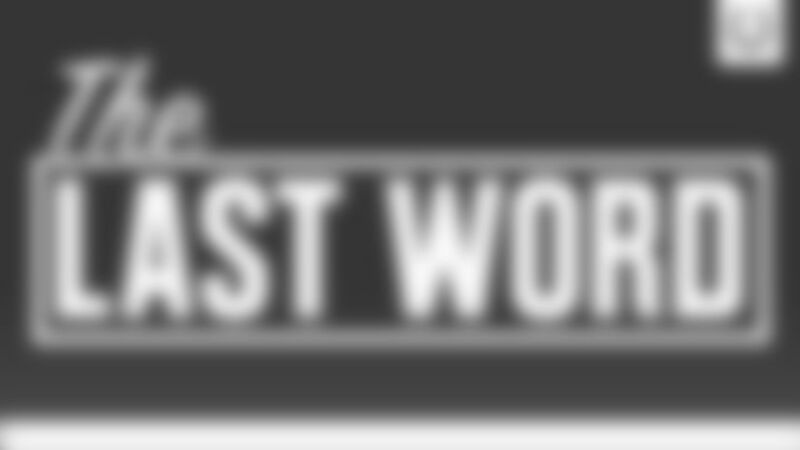 On this week's Last Word, Jimmy Matis and Matt Taylor discuss week 2 of OTAs, and hear from former Colt and ESPN broadcaster Booger McFarland.